Asking Governor Satpal Malik to adopt a realistic approach MLA Er Rasheed on Monday said that Governor’s words don’t match the actions on the ground. In a statement issued today, Rasheed said that no one disagrees with the fact that youth need to be engaged but the government has been engaging them through bullets, pallets PSA’s and assaults everywhere. 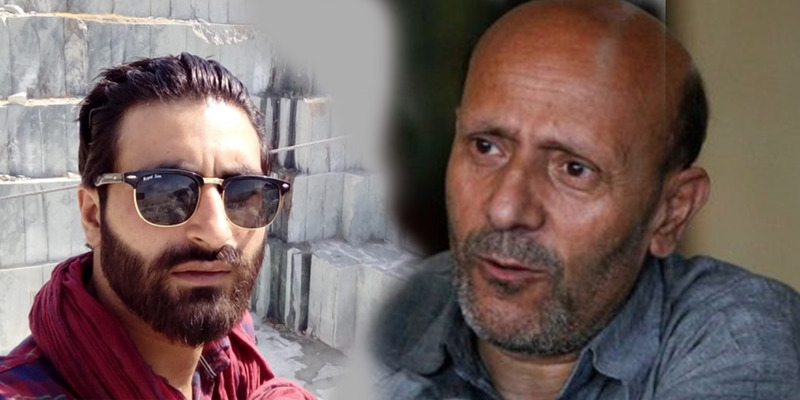 Rasheed said that it makes no sense when Malik talks of engaging with the youth as all his claims and intentions are aimed at silencing Kashmiris without giving a political resolution to Kashmir dispute. Even the cosmetic measures government has been announcing from time to time are being thrown to the dustbin. “It was none other than Union Home Minister Rajnath Singh who announced the withdrawal of FIR’s against alleged stone palters but nothing changed and educated youth continued to get booked under PSA and are being summoned to police stations for humiliation, the spokesman quoted Er Rasheed as saying. Rasheed said that Kashmiris don’t want to lose educated youth but in most of the cases it is the state terrorism that compels youth to take to arms. If Satpal Malik is sincere he must talk to Manan’s family and he will know the truth that while Manan had been always in favour of a political resolution but utter humiliation at the hands of forces compelled him to choose the gun. The fate Kashmiri students are meeting everywhere in India is known to all. Just by claiming that state government is in touch with authorities of rest of the states where Kashmiri students are being harassed, state government cannot claim to have discharged its duties. “Had New Delhi cared for youth it would not have created hurdles in establishing professional colleges and universities in Kashmir and by not encouraging investment in educational institutions New Delhi’s designs stand exposed, Rasheed said. And added that the state of J&K is not being run by the Governor but men in uniform. Rasheed added that Kashmir problem is not about controlling youth and it is not mere child’s play that governor wants New Delhi to engage with kids between age group from 13 to 20 years, but New Delhi has to talk to Pakistan and pro-resistance leadership whether it is militants holding the guns or the political leadership for the permanent resolution of Kashmir dispute.